Two men have been arrested following a robbery in Giffard Park last night, Wednesday. Thames Valley Police are investigating the incident, which happened at a shop in Knebworth Gate around 10.55pm. 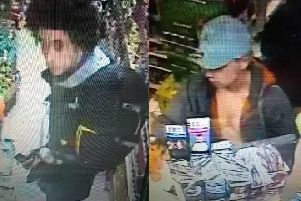 Offenders entered the shop and attempted to steal cigarettes and money. A 34-year-old man and a 35-year-old man from Milton Keynes have been arrested and are currently in custody.